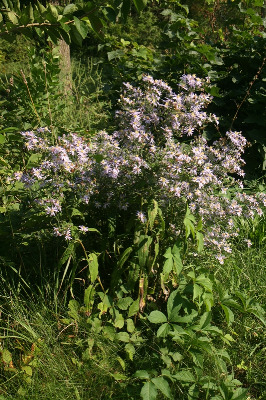 Aster shortii of Michigan Flora. Oak hickory forests, often dry but also in moister sites, forest edges, and roadsides. A very showy blue aster, usually with brighter blue flowers than the common S. cordifolium (and also solitary or clumped, not colonial from long-creeping rhizomes). MICHIGAN FLORA ONLINE. A. A. Reznicek, E. G. Voss, & B. S. Walters. February 2011. University of Michigan. Web. 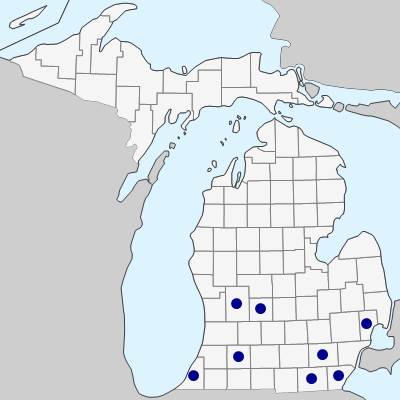 April 21, 2019. https://michiganflora.net/species.aspx?id=495.